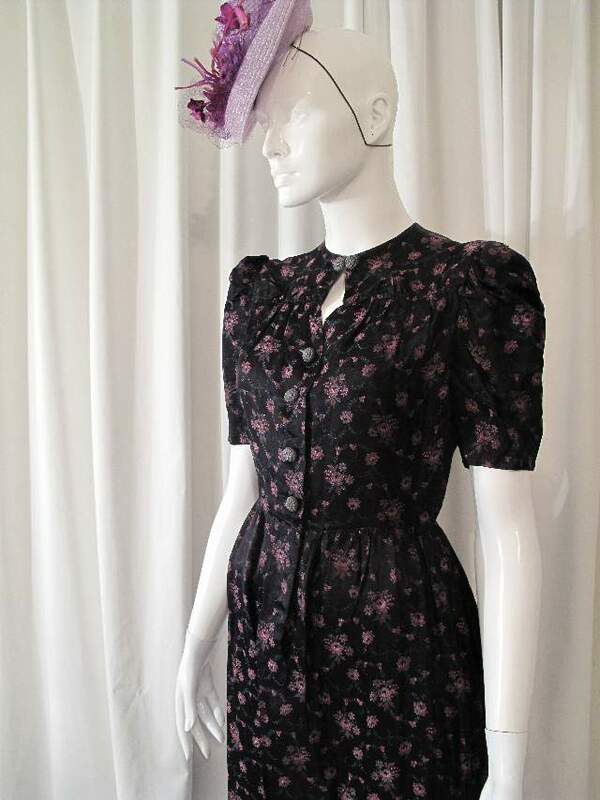 1940's Deep burgundy floral sprig jaquard vintage dress. 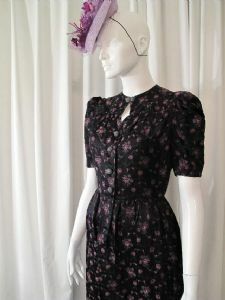 The dress has puffed, elbow length sleeves and fastens at the neck with dull metallic bobble buttons, there is a front fastening of more matching buttons. 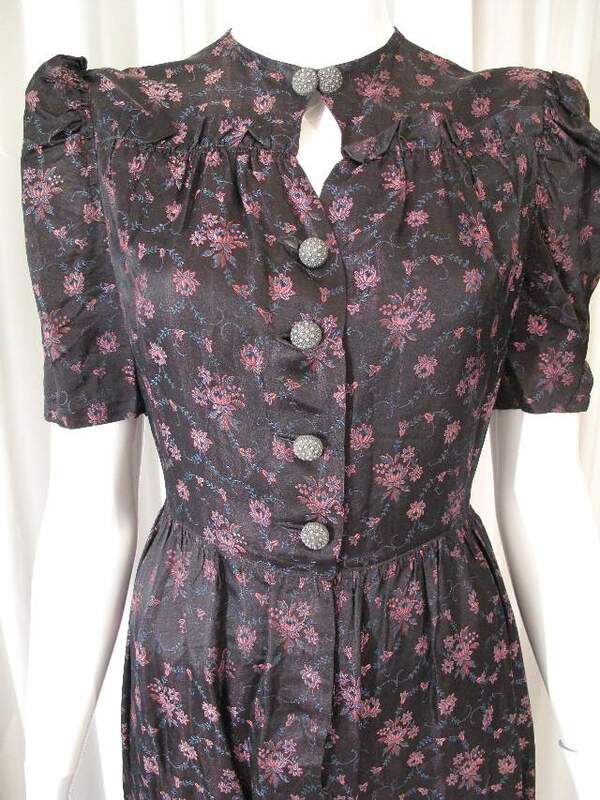 There is a frill detail across the bust yoke. 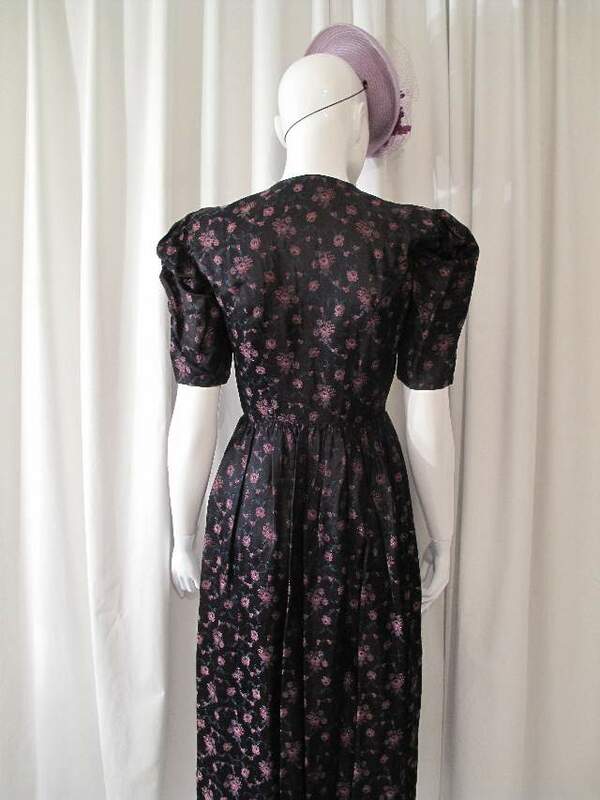 The skirt is slightly gathered and longer length. 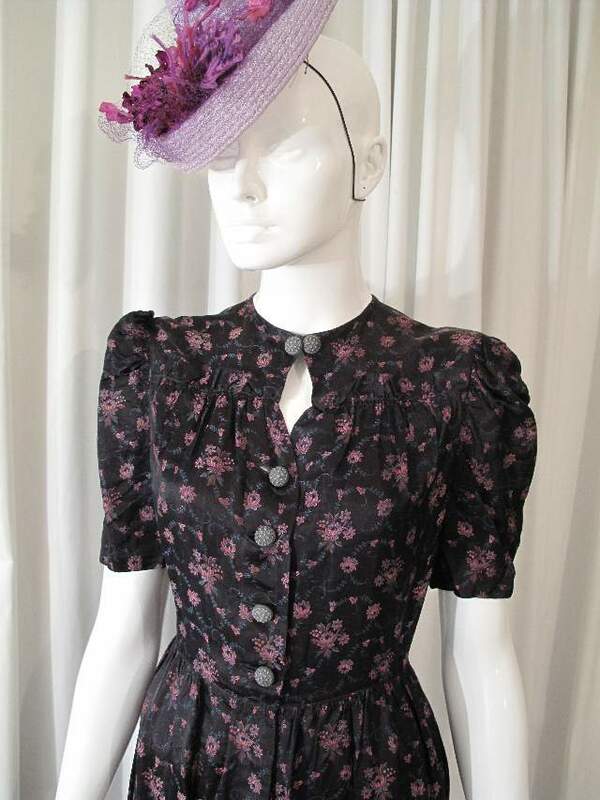 The silky fabric has a finely detailed jaquard of small sprigs of flowers, in pink and blue. 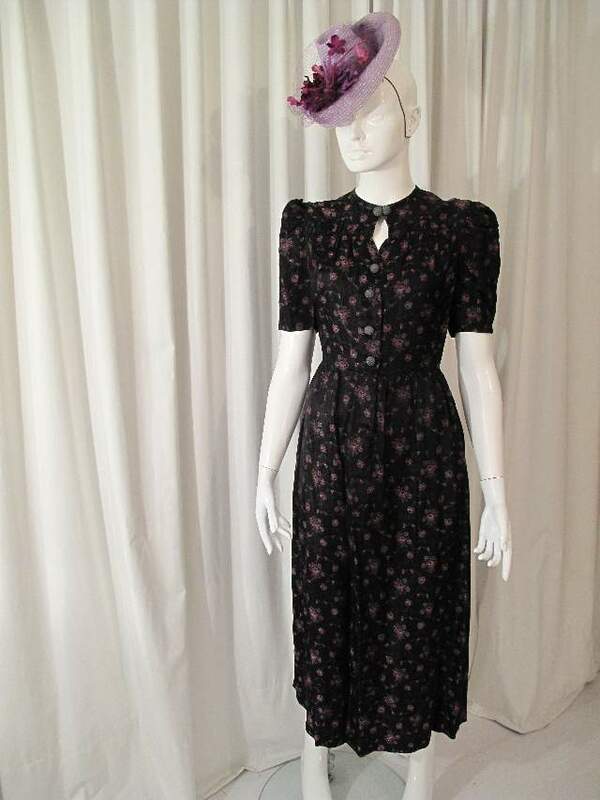 With the padded shoulders, the dress has the classic 1940's silhouette and is very Joan Crawford in 'Mildred Pierce'.